Even in winter there's fun stuff you can do outside. Like building spectacular snow sculptures! 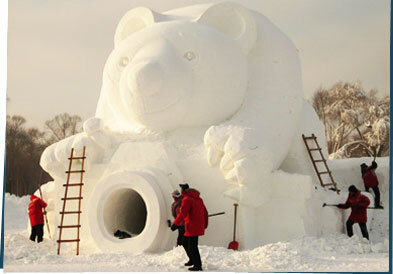 These photos are from Harbin, in China, famous for its snow and ice sculptures. It's so cold there all winter that the sculptures don't melt. Its nickname is even City of Ice! Check them out. If you had tons of snow, what would you sculpt? Write to us and tell us.